Do any of you do stock rearset refurbishing? Or do you know someone that does? This includes the brake pedal and shifter as well. I simply can't afford a set of woodcrafts or whatever and most of what I see on Fleabay is just bent up junk like mine. And I don't trust that Chinese crap either. I need someone that REALLY knows what they're doing and can straighten, clean and derust what I already have. They need new bushings for the pedals too. 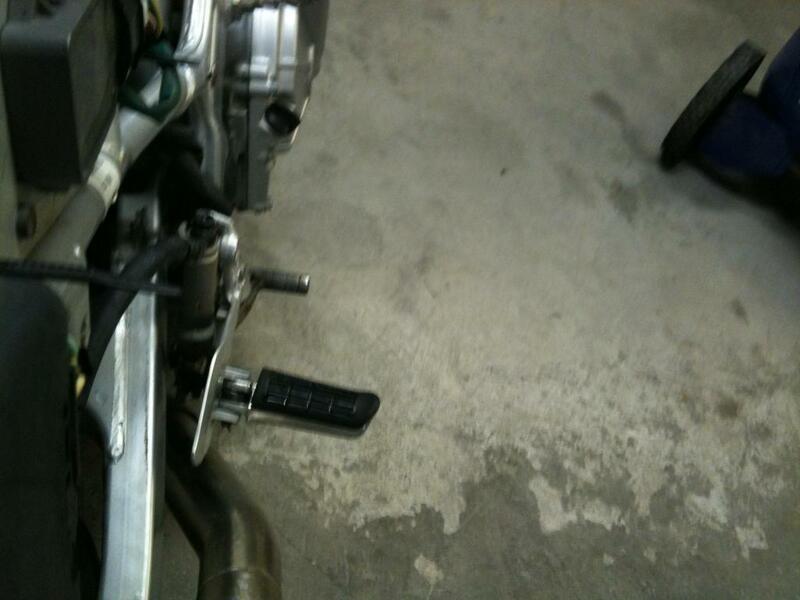 I can put new pegs on them but I don't want to risk cracking my rearsets bending them back into shape. Any thoughts? can you post some pics of them? Here's a shot, it's small and doesn't show much but you get the idea. The brake and shift levers are a bit bent up and rusty too, I'd need them straightened and cleaned up too. Do you do such repairs or are you just curious? i do small repairs and finishing work...what kind of finish are you thinking of? Nothing fancy, just polished up and maybe clear coated. I'm hoping you perhaps have some good stock rearsets to compare mine to in order to get my brake and shifter pedal straightened out. The PO was NOT kind to this bike and it was dropped numerous times. 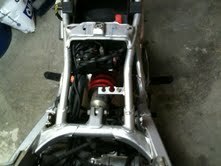 The shifter and brake pedals are all fooked up! You need to pay attention to ebay a little more. I bought a used set of Woodcrafts in perfect condition for $120 with shipping. Which is about half the price of brand new. And I also just bought a set of Dynasty rearsets for $44 with shipping. They're a little rough, no cracks or bends except for the shift rod, but working condition. The ones I been using since the mid 90's are Dynastys I bought brand new back then. They were over $200. Does your CBR make any odd noises?